The Society of Professional Journalists at the world's first journalism school. Allan Vestal, a journalism student who has interned with the Los Angeles Times Data Desk. Twelve Working Press interns will cover the Excellence in Journalism 2012 conference for the Society of Professional Journalists. 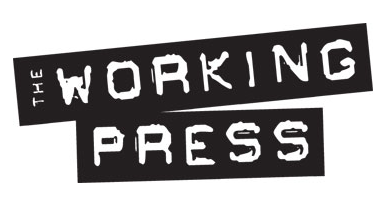 The Society of Professional Journalists is seeking 12 interns for The Working Press, a daily tabloid newspaper and online news site, that will cover the Excellence in Journalism 2012 conference. Collegiate student reporters, editors, photographers and designers are invited to apply for these select positions. This year’s conference is set for September 20-22 in Ft. Lauderdale, Fla. Selected interns will need to arrive in Ft. Lauderdale on Wednesday, September 19 and attend a mandatory 3 p.m. staff meeting. The internship ends Sunday, September 23 at Noon. — Be available to be in Ft. Lauderdale from September 19-23, 2012. For more information about the internship as well as a description of what to include with your application, visit the Working Press page on the SPJ website. Get SPJ Mizzou updates in your inbox!